One lane is blocked on the M62 and drivers are facing heavy delays following reports of a two-vehicle collision. 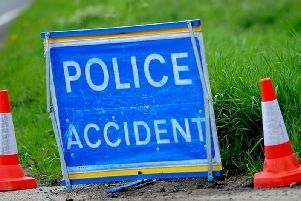 The M62 westbound between J25, A644 Brighouse and J26 M606 Chain Bar has one lane closed this evening whilst emergency services attend the scene involving a HGV lorry and a Mercedes vehicle. The male driver of the Mercedes vehicle is being treated for minor leg injuries. The temporary closed lane is expected to re-open soon.